Today we’re putting an Italian twist on one of my favorite Mexican dishes! 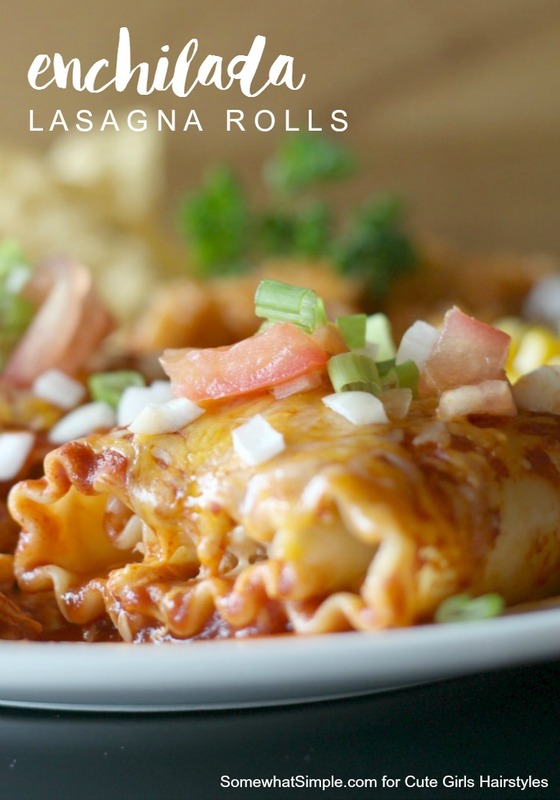 These enchilada Lasagna Rolls have all the great flavors of a classic chicken enchilada recipe, but we’re ditching the tortillas and wrapping the filling inside some lasagna noodles… and the result is simply delicious! One of the things I love most about this dish is how simple it is to put together. It calls for only 4 ingredients that are easy to keep on-hand, which makes for a stress-free weeknight dinner that is ready in no-time at all! These are just approximate measurements – feel free to add more or less cheese or sauce or chicken to your liking! 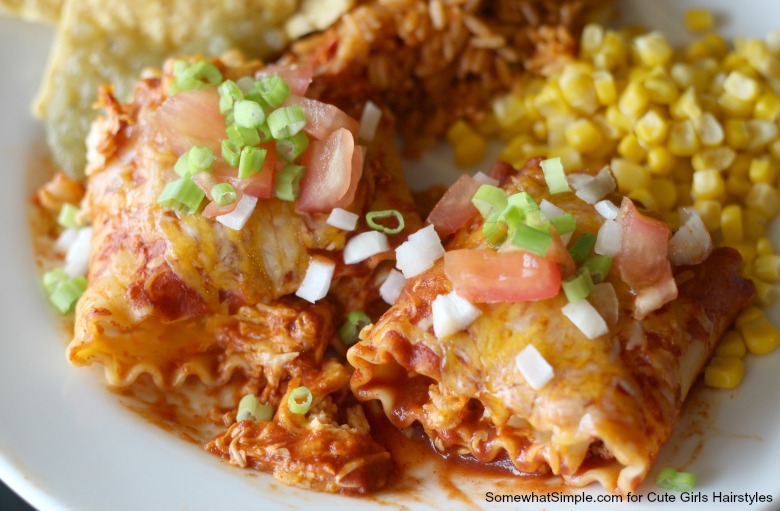 We have over 2 dozen enchilada-inspired dishes on Somewhat Simple – how hungry are you?